Clients First Inc. is proud to announce the launch of The Fundraising App in the Greater Westfield area this Summer. Clients First Inc., a marketing and promotional advertising company in Westfield offers a smart phone app for fundraising that features coupons and flagship offers from local businesses that is available in Google Play and the iPhone App Store. 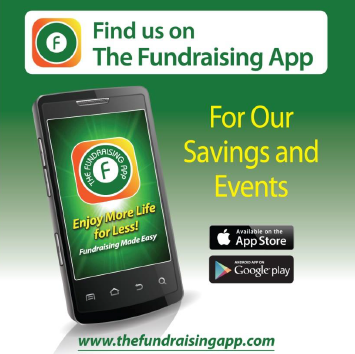 The Fundraising App is like a having a giant coupon book on your smart phone featuring special offers, discounts, and promotions with over $1,000 in savings from local businesses. Local Schools, Clubs, Non Profits, Teams and other Organizations will sell the $30 App and make 50% Profit or $15.00 per sale. The App is like an entertainment coupon book but will always be in your pocket or purse making it easy to use and save money. If your Organization would like to learn more about this wonderful new and easy to sell fundraising program, please Click Here, or call Jeff at Clients First at 908-232-1200 for more information. Local Businesses can post their specials, coupons and flagship offers on the App. Any local business - Retail Store, Restaurant, Painter, Plumber, Doctor, Lawyer, Accountant or service provider can reserve their place on the App now. Currently The Fundraising App has contracts with Advertisers in Westfield, Cranford, Mountainside, Springfield, and Garwood. Scotch Plains and Fanwood will be following soon. Advertising on the App will be completely FREE to the first 50 Businesses that sign up. After these 50 spots are gone, there will be a $100 Set Up Fee for the first year. There are no monthly fees, no transaction costs, no postage or printing costs, and no redemption fees charged as done with Groupon or Living Social. If you are a business owner, please fill out our simple online registration form to claim your Free spot on the App. You can expect many new customers and will be able to remarket to these customers as well.